We have begun working with Matt Hawk of FaerieWorlds on the NeverWorlds stage. You will see little bits and bobs being added here as we work on them. This is the idea so far. Now we just have to make it. Update. 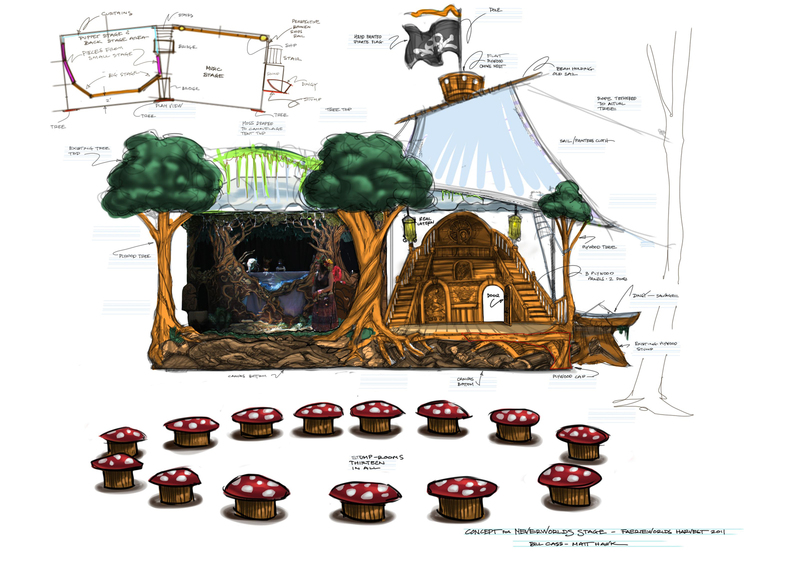 Hopefully this will be what we do for faerieworlds in June 2012. Our stage will still be there but the ship construction will have to wait. As long as the Mayan calender is wrong that is. ← Romeo wherefore art thou?